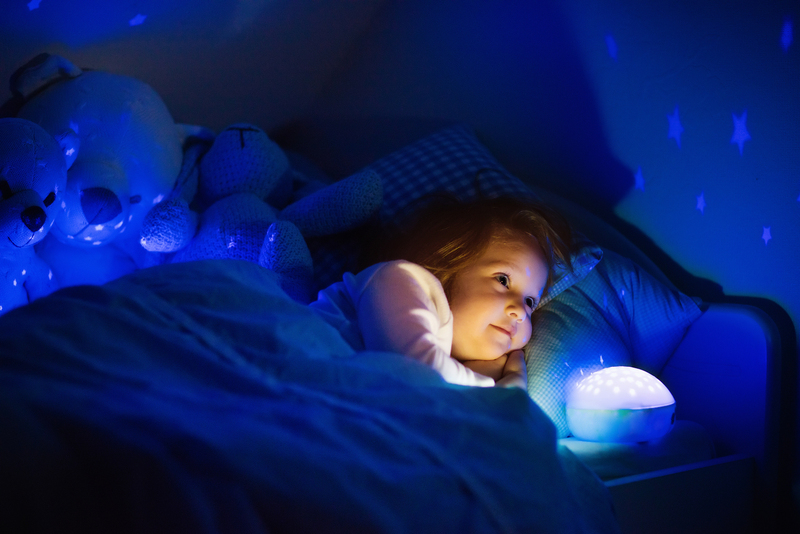 When should I start using a night light for my baby? There are two reasons to use a night light. The first one would be if you’ve got a really little child and you’re coming in to feed them at night and you need to see where you’re going so you don’t bump into things. 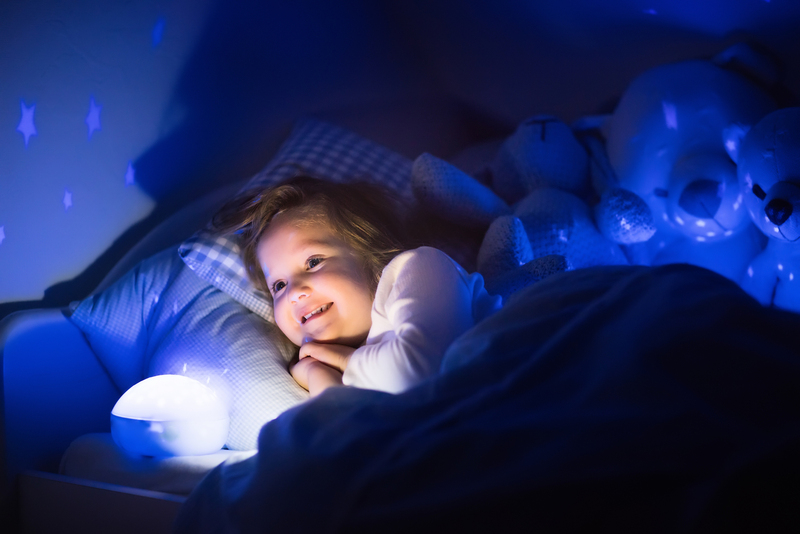 The other time night lights are useful for is when you have a child around the age of two or more who might have started to develop the emotion of fear. In between those ages, there’s really not any need for night lights. Little babies between those ages don’t get scared at night, so you can normally just have the room be pitch black with the door shut and they won’t mind at all. The best type of night light to have is one that has the ability to be on red. You want the light to be a red night light. The reason is that blue light most affects our brain to inhibit the secretion of melatonin, and melatonin is the sleepy hormone that we need to go to sleep. So you don’t want to inhibit that in your child. Let’s not ever inhibit melatonin production. You want to go for a light that has the ability to light up red. The brand of lights that I like the most is Aloka Sleepy Lights. The reasons I like them is obviously, they can be red. They’re also made of Perspex so they’re kind of shatterproof. They are LED, so they don’t get hot and they last a long time. Also, they plug into the wall. I loathe night lights that have batteries, because you end up eating batteries or it goes out in the middle of the night because the batteries have expired. So somewhere around the age of two is a good time to introduce that if you notice your little ones starting to get scared of the dark. I hope this helps! Should my four month old be feeding to sleep? I had a client who worked with a sleep consultant in New Zealand to get help with her four month old, who had to feed to sleep for every sleep. She had been told by mothers and people around her that she definitely needed to get her little one self-settling. I think a nurse had told her that at 12 weeks she definitely needs to start getting her baby to self-settle and not feed him off to sleep for each sleep. Now, aside from feeding him off to sleep he actually was sleeping pretty well. He would link some sleep cycles sometimes during the day, and only woke once or twice a night. However, because of everyone around her telling her that was a problem she sought help. She came to me trying to refine that technique or find a new technique to get her little one sleeping. I actually wasn’t much help in terms of getting a new technique, because I didn’t think that her baby needed sleep training at all. Her little one was behaving just as a normal four month old would. It is not bad to feed your baby to sleep. If you’re feeding your baby to sleep, and they’re sleeping pretty well, and you’re happy with it there’s no problem. You do not have to sleep train your baby. The people that she had worked with over there told her that absolutely, definitely if she continued down this path of feeding her little one sleep she will definitely have problems down the track, and her little one would start waking more and more, looking for a feed. That’s not true at all. You may well find that a baby that you’re feeding to sleep naturally stops waking for the feeds and sleeps through all on his own. That is not crazy. That’s not unusual. It’s actually what all of my babies did. There is nothing wrong with a little baby, a four month old, feeding to sleep. There’s nothing wrong with an 18 month old feeding to sleep if you’re okay with it. That’s fine. There’s nothing wrong with her feeding her little one to sleep. The people around her saying she’s creating a rod for her own back – that’s just making more stress for that mom. If that’s working for her, if her little one goes down and has a nice sleep, and it’s calm, and she’s happy to feed him off to sleep, then there’s no problem whatsoever. I feel awful that she spent two weeks trying to do this sleep technique that she didn’t even really need to do at all. It made her baby cry, and then she would cry. It’s robbing the first few months of her time with her little one. She was more than happy to feed. I’m here to tell you that you do not have to teach a baby to self-settle. Many babies will just independently start to self-settle themselves. You may, down the track, need to, but at four months I definitely wouldn’t be advising you to look at sleep training. I don’t think it’s something necessary at that stage. Sure, there’s some environmental things that we can look at, some timing things we can look at, but not sleep training. Just it’s not what we’re doing at four months. I hope that helps someone. I hope that relieves the stress for someone who is currently getting pulled apart and told that they need to start making their baby self-settle. I really hope that helps. Reluctant to adjust baby’s sleep environment? Read this! So I guess my answer to that is most of the time we have our little ones napping at our house. Most of the time. So let’s say conservatively in your baby’s lifetime 75% of their naps would be at home. So let’s say then that if that means we’ve only got 25% of their naps away from home, why would we compromise the environment for that 80% so that we’re preparing for that 20% away? It would make more sense to make that 80% environment be as perfect as possible and take our chances on the 20%. So I honestly feel like if we’re spending our time trying to concentrate and compromising that 80% of nap time in preparation for the 20%, and to be honest, most of the time it’d be more like 90/10. When you’re in Noosa or wherever on holiday, and your baby’s not sleeping well because there’s no blackout blinds, that’s okay. Most of the time you’re at home. Most of the time it’s going to be optimal condition. I’m a firm believer in making the majority of the time at home optimal for naps and take our chances when we’re away from the home. For whatever reason, it seems that your toddler has regressed. Perhaps he’s waking at midnight, three in the morning and screaming uncontrollably. The first thing we’d obviously check is if something’s wrong. He’s hurt, he’s sick, etc. When we start seeing this night after night after night and he is happy if he comes into our bed, then it’s probably a behavioural thing. There’s nothing he actually needs. We’ve tried pain medication, checked for fever, etc. so there’s no pain. If it were pain, he would still be upset in your bed. So it’s not that. It’s some kind of behavioural issue. It’s around the age of two years that they develop fear, so if they’re around this age that’s the one thing it could be. I would definitely make sure there’s a night light in the room and make sure that night light is on red. Red light is best for not interfering with melatonin, which is our sleepy hormone. Aside from that and assuming he’s a well fed, healthy, happy little boy, it would really just be a behavioural thing. In which case, you need to work out a consistent way you’re going to respond. I don’t want you to shut the door and not go back. That’s loco. I just want you to work out a consistent way that you can respond so that he knows you’re here, everything’s okay, it’s just time for sleep, and how you respond will differ from family to family, but I want you to sit down during the day, and work out how you’re going to respond to these wakings, and keep them really consistent. It’s not going to work in 15 minutes, it’s not going to work in one night. It’s going to take some time, a few days, and a consistent response so that you can get him sleeping better again. Is baby’s fussiness with food and sleep problems related? This is something that’s really common. 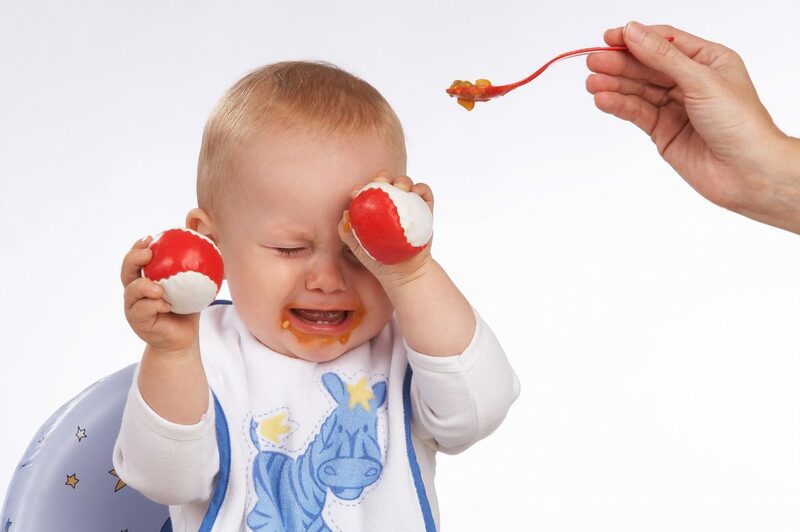 I have a lot of clients with babies who are fussy eaters – “he doesn’t eat very much”, “it’s really hard”, etc. and the feedback I hear all the time is, now that he’s sleeping better, all of a sudden he’s eating better. Imagine being really exhausted. You wouldn’t want to learn something really hard. If I said let’s talk about how grammar works in Japanese, you’d be like – I can’t even think about that right now because I’m so tired. Your baby is probably going to be pretty similar and if they’re learning new flavours, learning new textures and how to eat properly, that takes a lot of energy for them. So if they’re not sleeping then they’re probably not going to be eating really well either. My advice for you would be to work on the sleep first, get that nailed and then your baby is probably going to be much more open to trying new things and being less fussy about food during the day. What time should my baby go to bed? From talking to a lot of mums there’s a feeling out there that babies should have a certain bedtime, but what’s an adult’s bedtime? I have a friend who, if she were allowed to, would go to bed at 7:30 PM and I have friends who don’t go to bed til midnight. Adults have different bedtimes, so do babies. Babies’ bedtimes are going to be influenced by a range of things. When their last nap was, how well they napped through that day, what their activity levels were. All of these things are going to be influencing what time they’re ready to go to bed. Something I hear all the time is, “I could tell he was really tired, but I know he’s not supposed to go to bed till 7:00 so I just have to string him out until it gets to 7:00.” Stringing out a baby for a certain bedtime is not a good thing. You don’t want to be stringing your baby out. If your baby is tired, put your baby to bed. That is literally as simple as it is. If they’re tired at 5:30 and they’ve had a super long day, or they missed naps because they were out, or they didn’t nap as well as they normally do, just put them to bed. 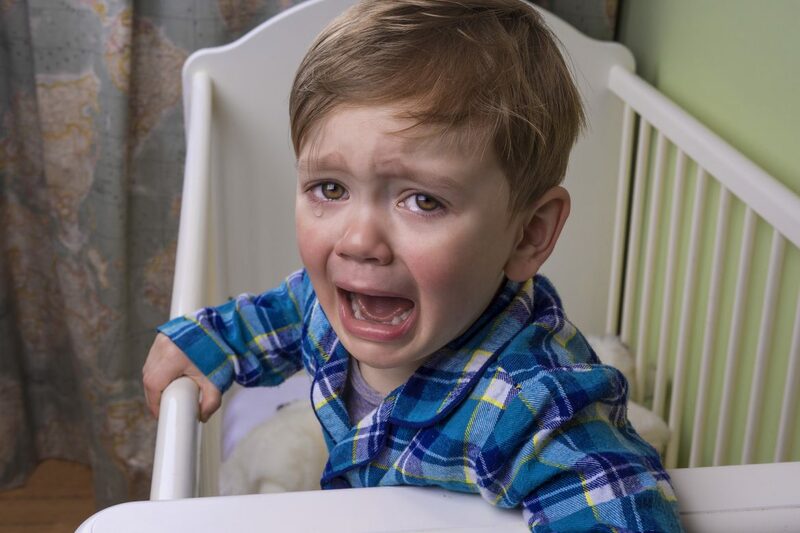 I don’t want you to be thinking that there’s a certain bedtime for babies. It’s really a function of those factors that I mentioned before. So I hope that helps. 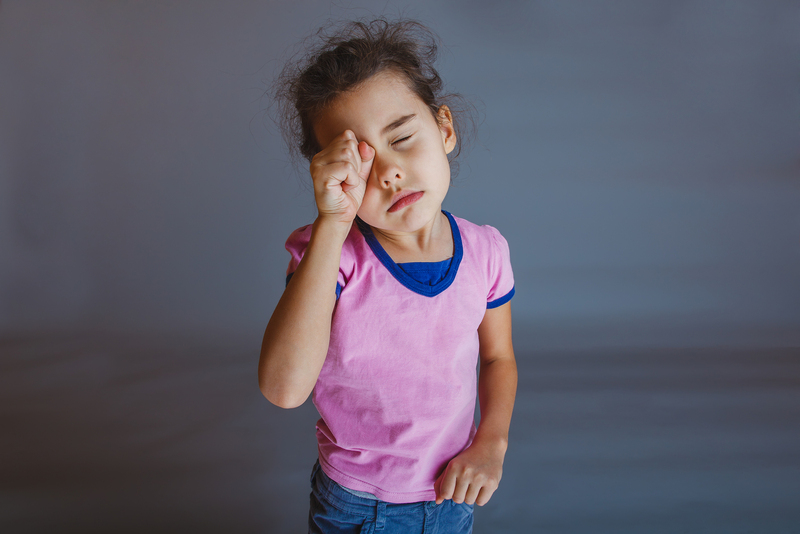 How do I keep my toddler from waking too early? Here are some ideas on how to keep your toddler in bed a little longer in the mornings. I’d first make sure the room is blacked out and then look at white noise. Rain sounds, ocean sounds. One track I recommend is Weightless by Marconi Union – it helps reduce anxiety (you can find this in the iTunes store). It’s really hard during the summer months when it gets lighter early to stay asleep because we’ve got birds cawing as early as 3:00 in the morning! I’d also be looking at something like a Gro-clock which would be a visual cue to let your little one know when it’s okay to get up. I wouldn’t recommend these for under two-year-olds, but two and a half is totally fine. Any younger and they won’t understand that yellow equals getting up and blue equals staying in bed. The beauty of this is you get to set the time. With the Gro-clock, instead of just setting it to an hour later (which would be really hard for a toddler to adjust to overnight), I’d suggest gradually shift out her mornings. So because we want to set them up for success, I’d be setting the clock 15 minutes earlier than she already wakes. So if she’s waking at 5:00 AM, I’d be setting it for 04:45 AM. You want to make this really easy for her to get. Set it up by really talking about it to her during the day – “we don’t get up until the sun is up!” You’re making it almost impossible for her to fail. Of course, the sun’s going to be up, because she only wakes at 05:00 AM. Once you’ve got her hooked on that positive reinforcement, after a couple of days start shifting it later. Start in increments of 5 minutes, maybe 10. There is no harm in going backwards if she sleeps a bit, but you have to gradually shift it forward, so that she gets hooked on that positive reinforcement. You’ve made a huge deal about how awesome she is that she waited for the sun to come up. Then slowly move the time later. I would do the “dummy scatter” and have 10 or 11 dummies in the cot and then do whatever sleep guidance you’ve planned to do. So whatever it is that you’re doing, you’re also helping him learn to self-settle with the ten or so dummies in the cot. There is a product that I like that you can use and it’s called a Sleepy Tot and it’s a little square fabric bear or rabbit and you can clip a dummy onto each of the corners. The idea being that that makes it a lot easier to find the dummy and it’s harder for it to fall through the slats of the cart. Sleep Tight Babies is the place (website) you can buy them from. I 100% recommend them, but if you don’t get the product, don’t worry about it. 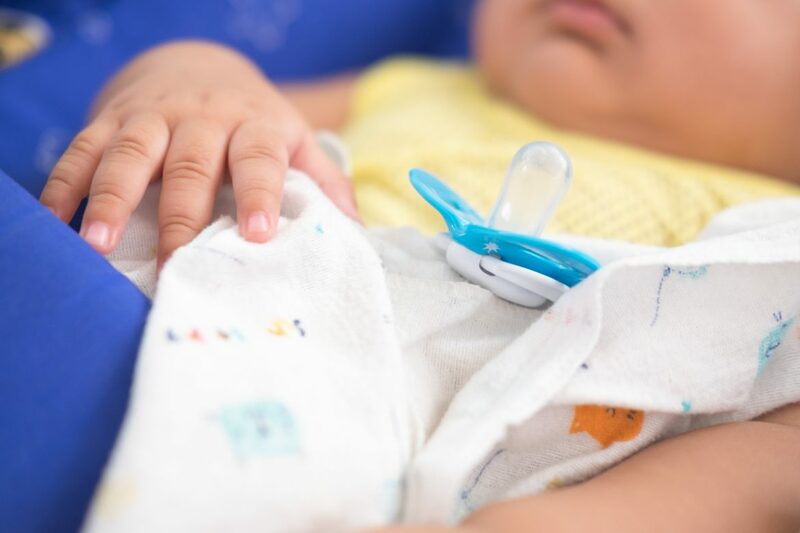 You can also put lots of dummies into the cot to make it easy for baby to find one to self-soothe during the night. This comes up often with the company and what I normally say is if it’s something that you wouldn’t send them to daycare with, then we postpone our sleep guidance. Teething is something that you normally would send your little one to daycare with. Assuming there are no other symptoms like fevers, etc. It’s a tricky one, but I would gauge it by how he is during the day. If he’s really miserable during the day and not himself at all, then I would err on the side of pausing sleep guidance. If we’re seeing the physical symptoms of teething during the day and he’s really miserable, he’s off his food and he’s clawing at his mouth then, delay it a bit. If he’s just fine during the day, but then miserable at night then we would not put it off because it is likely to be a bit behavioral. I always say that a well-slept baby really shouldn’t be interrupted by teething. If your baby were sleeping really well, the teething probably wouldn’t be too much of an issue at night. 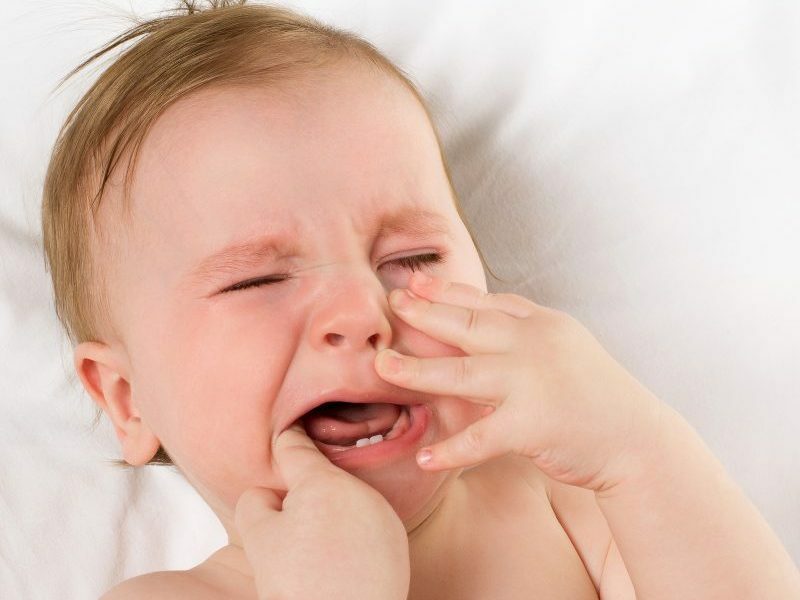 So should we delay sleep training when baby is teething? Yes and no. Yes, if there are hints of symptoms. No, if it’s more like, “Eh, I reckon it might be teething” and he’s only really miserable at night with no other symptoms. Why do we need sleep consultants? What did our ancestors do? I know some people wonder if sleep consultants are really necessary. Really, shouldn’t we just go with the flow like people in different cultures do and our ancestors did? Obviously 300 years ago child sleep consultants didn’t exist, but a lot has changed since then. The three biggest things that I think have changed from native cultures, traditional cultures now and our ancestral cultures is the lack of the “village”, modern life – the pressures of the modern life and thirdly, that a lot of women are now professionals. 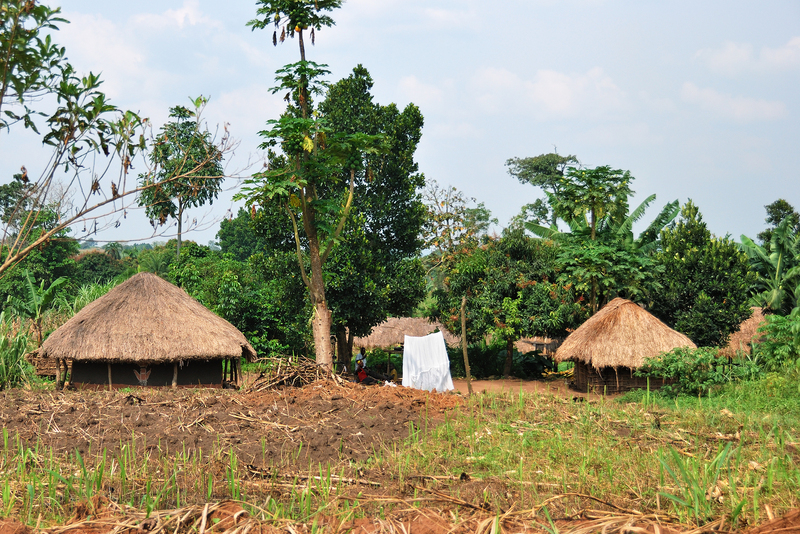 In traditional cultures and our ancestors’ cultures, everyone lived pretty much in a village. All mums were stay-at-home mums. They lived with their sister and their aunt, or their sister-in-law and their mother-in-law and all of the women in the clan or the tribe were all together. Often there was wet nursing so they could take breaks. It’s not like the mother now, who is in downtown suburbia where she’s stuck at home with three children and she’s completely outnumbered. Back in tribal days or native cultures, the older children would all go off, the younger babies would be staying with the mothers. There’d be just as many children as there are mums or even fewer children than there are mothers or grandmothers. It was a lot more of a village as opposed to now. Adults often don’t live with their mothers or don’t even live in the same cities as their mother. We have help, absolutely. A cleaner might come once a week, that’s help, absolutely, but it’s not going to help with the daily minute-by-minute grind. The lack of the village I think is a really, really important one. We have a mortgage. They didn’t have a mortgage then. Our ancestors might not have had a mortgage or certainly wouldn’t have been one that was going to take that long to pay off. You might get a mortgage before you have children and then you’ve got to go back to work. What are you going to do? You need to help your little one sleep so that you can perform your job, so you can keep up with the modern life. I’m not talking about people having multi-million dollar houses. I’m talking about people everyday parents having normal home loans. I’m not talking about keeping up with the Joneses. I think that modern life, even if you don’t need to go back to work, a stay at home mum has a lot of things that she needs to keep up with. I don’t think that babies need to be sleep trained to fit into our life, but at the same time, when we’re talking about someone with a toddler who’s just relentlessly not sleeping, and we can help them sleep better, then a mother who has to do school drop off, that’s an example of modern life. School drop off, all of those things, that’s really difficult to do with zero sleep. I do find that a lot of the people we work with who were professional pre-children, and people in professional roles feel like they should be able to work it out. There’s a way that we can help this little one sleep better, so let’s just do it. And that’s what we can do. Our tribal ancestors also had witch doctors; people were burnt at the stake, etc. Society evolves and back then we had some pretty, pretty sketchy medical practices and now we have people who can help our baby sleep. I don’t think we want to take everything from our old, traditional tribal cultures. I think that we can move forward with new practices.